If you are a clergy leader or pastoral counselor, people struggling with difficult situations or life traumas frequently turn to you for guidance. And while you're passionate about helping, you may be unprepared for counseling people with certain mental health challenges. On the other hand, if you are a psychotherapist, you may need guidance in supporting your client's religious belief system in therapy. In either case, this book presents a powerful road map to help you provide the best care.In this book, you'll find a complete overview of ACT, as well as strategies for integrating ACT and issues related to spirituality. 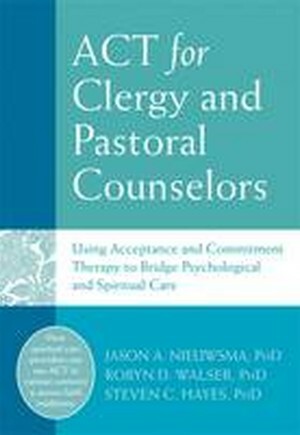 You'll also learn how the core processes of ACT-such as commitment to change and values-based living- can be seamlessly tied into spiritual and religious counseling, no matter your faith or therapeutic background.By teaching you how to fuse conceptual psychological and spiritual principles, this book will provide you with the tools needed to enhance your counseling skill set.